Since the late 1970’s, cruise lines have begun developing their own resorts throughout the Caribbean. These secluded and exclusive locations cater specifically to cruise line guests. Thinking of exploring one of these uncharted locations? Well, we have put together this list of the top cruise line private islands to visit in 2018. Can you get to all of them? 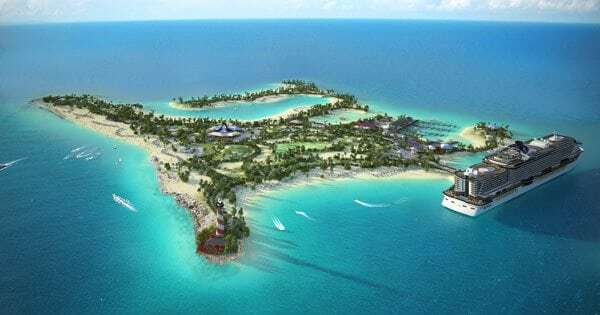 Opening in late 2018 will be the newest cruise line private island, MSC Cruises’ Ocean Cay. Consisting of 10 separate beaches, several areas of the island were purposely designed to cater to different types of cruisers. Families will have their own beach area, complete with a kid friendly restaurant. The cruise line’s children’s programming will also have dedicated areas on the island along with several play zones. Nature lovers will enjoy the island’s Marine Reserve. Whether it is snorkeling off the coast or exploring one of the nature paths, cruisers will have multiple ways to discover the island’s natural beauty. Oh, we almost forgot- cruisers will also be able to get a bird’s eye view of Ocean Cay on the zip line that is planned for the island. While the line has not released the names or themes of the restaurants, they have indicated that there will be several different dining options. Some of the venues will most likely carry extra costs. Some of the bars and lounges on the island may also be an up-charge. 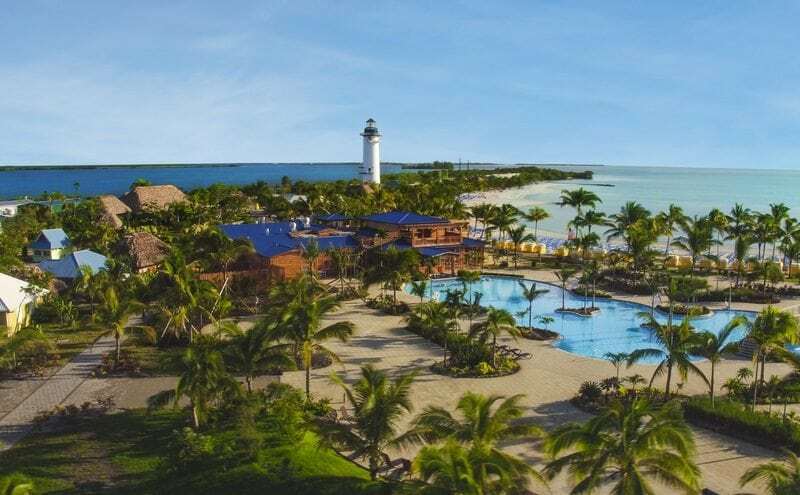 A separate smaller island will be home to the Ocean Cay Yacht Club and Spa. Part of this area will be reserved for cruisers staying in the MSC Yacht Club. These guests will be able to experience all of the onboard extras and personalized services right on the island. With all of the great activities, food, and entertainment, you will never want to leave the island. Good thing the cruise line plans on doing extended port stays. Representatives from MSC have even suggested some cruise ships will stay docked at Ocean Cay until midnight. These longer than average stops would allow guests to spend both the day and evening ashore. 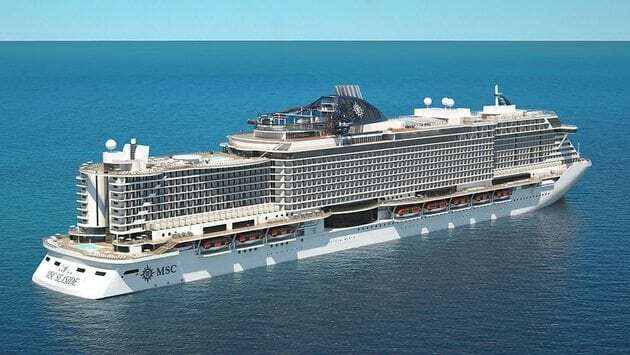 Several ships plan to visit the island, including MSC Seaside, which sets sail later this year. 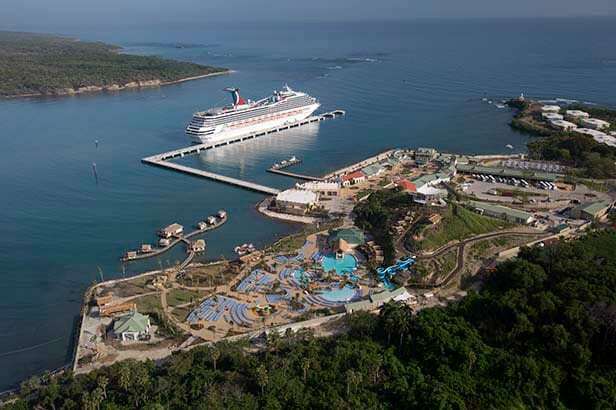 Amber Cove in the Dominican Republic has quickly become a popular stop for many Carnival cruise ships. Technically, Amber Cove is more like a cruise line specific pier. Still, there is an exclusive cruisers only area that you can relax in all day while on the island. 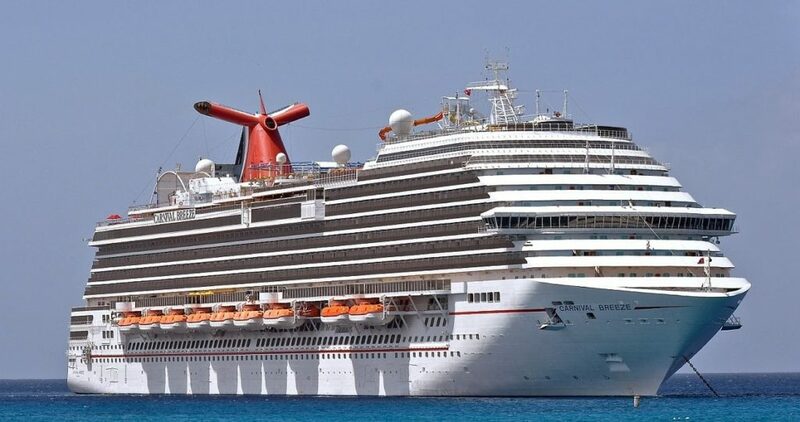 Over 10 different ships make calls to the island including Carnival Magic, Carnival Breeze, and Carnival Sunshine. Given the port is actually part of the Dominican Republic, there are a variety of shore excursions that let you go much further than the cruise terminal and adjacent shopping and entertainment centers. While stopped in Amber Cove, you can reconnect with nature on one several different tours. Swim with dolphins, explore waterfalls and underwater caverns, traverse the landscapes on a horseback adventure, or head into the jungle on an off-road expedition. Near the pier, you can head to the private area just for Carnival cruisers called the Aqua Zone. With multiple waterslides, a swim-up bar, lazy river, and complimentary loungers, you can relax in style after exploring the island. Feel free to upgrade your experience with one of the Overwater Cabanas. These air conditioned accommodations include dining areas, sofa and television, as well as a private sun deck. Unfortunately, one down fall of this port is that food and drinks are not included as part of your cruise fare. Even within the Aqua Zone resort area, guests will need to pay for both food and drinks offered at the restaurants and bars. 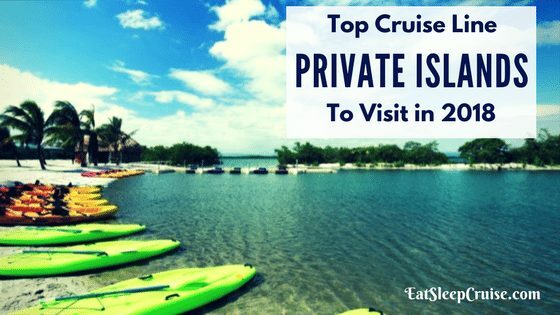 An island that we have visited numerous times is still a top choice for cruisers to visit in 2018. Several of Royal Caribbean’s ships stop at Labadee, Haiti. These include some of the largest ships in the world such as Oasis of the Seas, Independence of the Seas, and the line’s newest ship, Symphony of the Seas, as of next year. 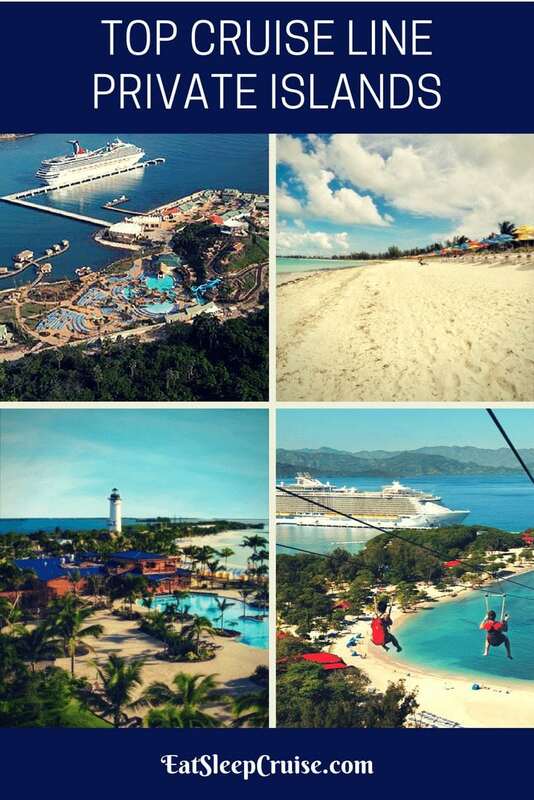 The thrills you experience onboard these mega-ships will continue when you dock at Labadee for an action packed day. The premier attraction here is the Dragon’s Breath Flight Line. 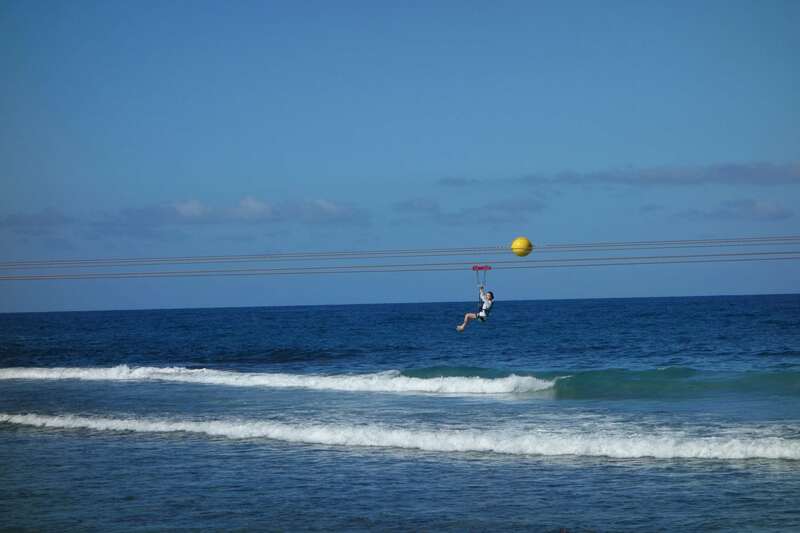 This 3,000 foot long zip line is the longest ride over water. You won’t want to miss the chance to soar over the island at speeds of up to 40 miles per hour. If you’d rather keep your feet on the ground, there are still plenty of exhilarating things to do while at Labadee, Haiti, like the Dragon’s Tail Coaster. This alpine slide takes cruisers twisting and turning down nearly 700 feet of track. Ride by yourself, or with your significant other, while you control the speed of your 3 to 4 minute ride. If that is still too much for you to handle, you can head to Columbus Cove to ride the island’s waterslide or enjoy the inflatable water park. There are many other activities on the island as well. Wave runners are available to rent in guided tours that can help you feel your need for speed, or parasailing excursions can help you reach new heights on the island. Once you are done, you can enjoy one of the several beaches, relax and soak up the sun, or sip a labadoozie (the island’s signature drink). Good thing your Royal Caribbean Drink Package works on the island. With a complimentary barbecue buffet for lunch and several shopping areas including the artisan marketplace, Labadee is a great island get away and one of our top picks to visit in 2018. 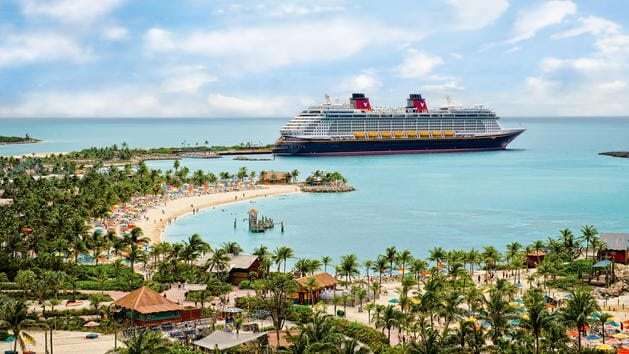 It isn’t hard to find a Disney Cruise Line ship stopping in Castaway Cay, as many of the cruise line’s ships routinely visit this private island. 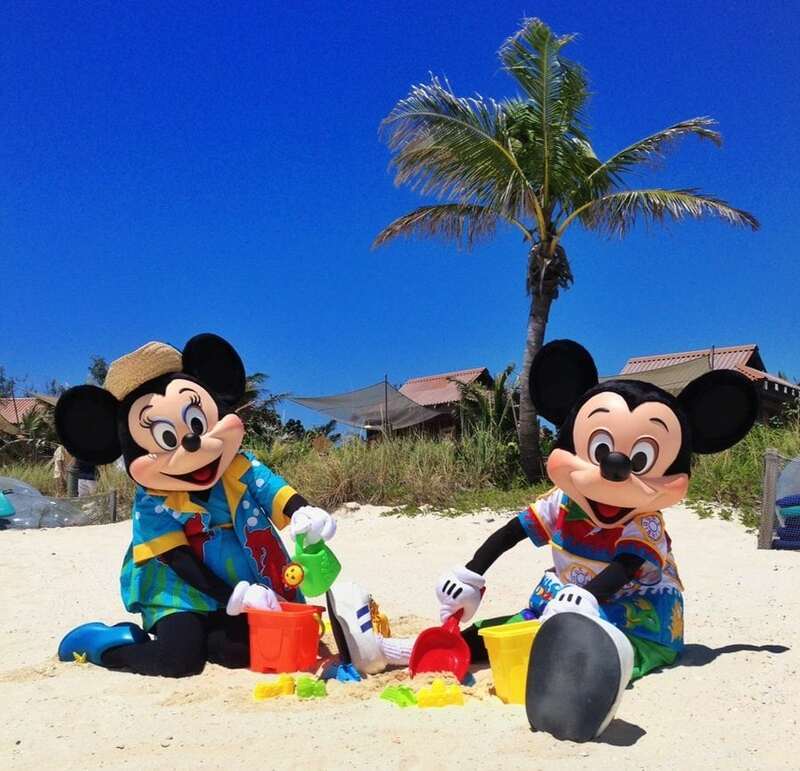 The island brings the Disney experience your kids will love to land for a magical day ashore in the Bahamas. At the Family Beach, everyone in your travel party can relax and enjoy the crystal clear waters. When you need a break from the Sun, the In Da Shade Pavilion is the place to challenge your family members to a game of foosball or table tennis. Back in the water at Pelican Plunge, a play area right off the coast, the little ones can enjoy waterslides and water features that only Disney can create. Snorkel Lagoon is open to swimmers of all abilities to discover the fish and coral of the island (snorkel rentals are additional). When you are ready for some “adult” time, the Serenity Bay beach is an 18+ area where you can get some real R&R. Yes, this includes a frozen drink (or two) at the Castaway Air Bar. Don’t worry, the kids will be well taken care of at Scuttle Cove. Here, Disney youth counselors host sponsored activities your kids will love. Your teens will have their own places to hangout and mingle with other cruisers of the same age as well. When you are hungry, a complimentary barbecue lunch is served at several restaurants on the island. In addition, several island bars along the beachfront will be serving up your favorite island drinks. Yes, this is a Disney island, so you will not be able to escape the characters. Several Meet and Greets will be available ashore. You can also commemorate your stop with Disney merchandise and logo souvenirs sold at two island gift shops. Last, but certainly not least, is the newest island getaway from Norwegian Cruise Line. 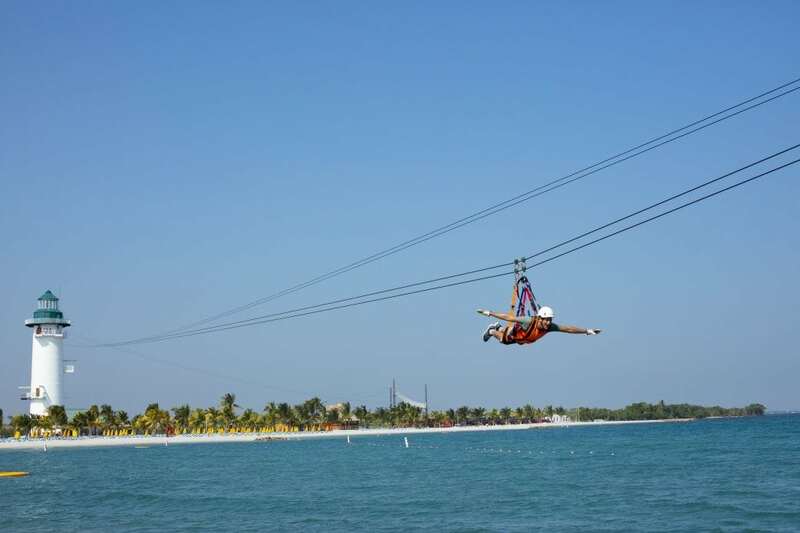 Harvest Caye, Belize brings NCL’s freestyle approach to cruising ashore. Lucky for you, there are several ships that sail to Harvest Caye, including the line’s largest cruise ship in the Caribbean, Norwegian Escape. You can even get to the island from NYC onboard Norwegian Breakaway. Once ashore, it is time to keep the party going. The central point of the island is the huge resort style pool. With plenty of lounge chairs and surrounding cabanas for rent, this luxury pool is what you would expect at a five star resort. With a swim-up bar, you never need to leave the serene waters. If you’d prefer the beach, there are plenty of loungers and ocean views along the 7 acre stretch of sand. If you are looking for a more upscale experience, private cabanas on the beach come with concierge service. To get the day started on a high note, you will want to venture to the Flighthouse. Here, you can admire the views before zooming down two different zip lines. For those who’d rather not fly, you can challenge yourself to the ropes course, suspension bridges, and “quick jumps” at this 136 foot tower. Once you have conquered these feats, it is time to celebrate with some drinks. Speaking of food and drinks, the island features a two-story Landshark Bar and Grill. Yes, the restaurant is an up charge and not covered in the costs of the cruise, but this is where the real party people will congregate with the restaurant’s laid back atmosphere and themed cocktails. Four other restaurants and lounges are scattered throughout the island, along with some street food vendors. Unfortunately, these are all up-charge venues as well, and your Norwegian Ultimate Beverage Package will not cover any beverages while on the island. In fact, some places don’t even take your room key card, so be sure to bring some cash. The island is only a 15 minute ferry ride to the mainland of Belize, and the cruise line offers several tours that let you explore the history and culture of the country. Just in case you’ve already had enough to eat and drink onboard the ship, you can take a break and venture deep into the Central American jungle during your visit to Harvest Caye. Which cruise line private islands will you visit in 2018? Did we leave your favorite place off our list? Drop us an anchor below to share your favorite cruise destinations. 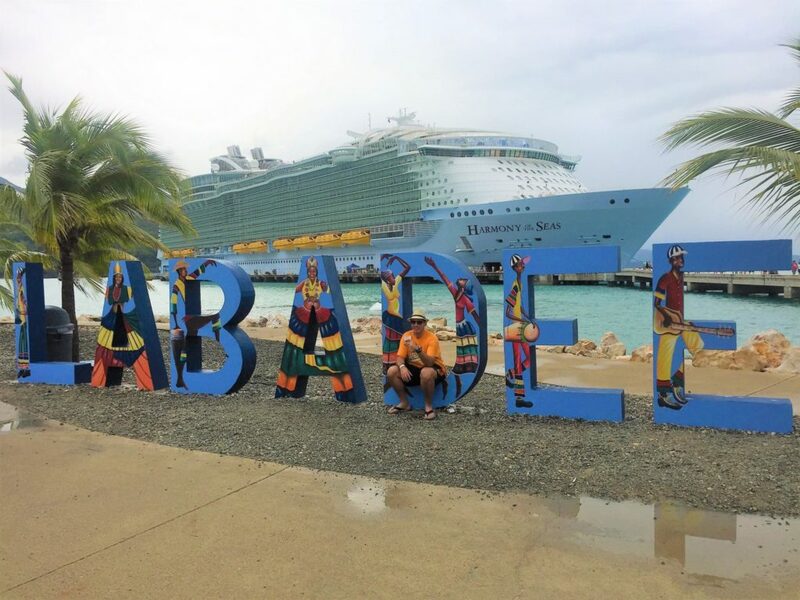 Hands down the best & I have visited four of the above mentioned Islands… The best in my opinion is Labadee for Royal Caribbean Cruise Line…. The best is Holland America’s Half Moon Cay!